On May 16th 1943, Royal Air Force (RAF) Avro Lancaster B Mark III Special bombers of 617 Squadron began Operation Chastise against German dams. Over the course of the attacks the Mohne and Edersee dams were breached and the Sorpe dam was damaged. Two hydroelectric power stations were destroyed and several more were damaged. The resultant flooding heavily damaged or removed much of the residential and industrial infrastructure located in the Ruhr and Eder valleys. The RAF had determined that the Ruhr valley, or more specifically the steel and mining industries located therein, was a strategic target even before World War II commenced in Europe. In addition the fresh water provided by the dams was used for drinking water and for the canal system used to transport German war materials. An effective method for attacking the dams had to be engineered by the RAF. Enter one Barnes Wallis. Wallis was the Assistant Chief Designer at Vickers Aircraft. In theory a relatively small explosive charge would cause a breach in a dam if it exploded underwater against the wall of the dam. The Germans had erected torpedo nets to protect the dams from conventional torpedoes and standard bombs could not be dropped with the necessary precision. Wallis and his team decided a bomb shaped like a depth-charge could be dropped from low altitude some distance from the dam. The bomber would induce backspin on the bomb, causing it to skip across the surface of the water- right over the German torpedo nets. When the bomb (code named Upkeep) reached the dam it was theorized that because the device would likely still be spinning it would sink along the surface of the dam until its hydrostatic fuse detonated the device 30 under water. 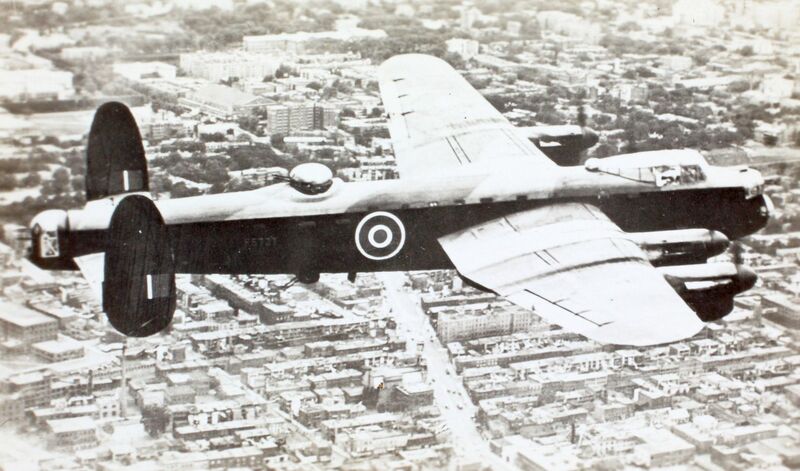 The bomber dropping the device would be forced to fly a low-altitude (60 feet), low-speed (240 mile per hour) approach to the drop point, making it vulnerable to all manner of German defenses. After tests during 1942 and early 1943, the concept was proven but the heavier bombs and the modified Lancaster bombers to deliver them were not yet ready. A new squadron was formed as part of Number 5 Group RAF. Initially the squadron was designated simply as X Squadron. Wing Commander Guy Gibson was chosen to command the RAF Scampton-based squadron. The men making up the 21 bomber crews in the squadron, eventually designated 617 Squadron, came from all over the RAF as well as from the Royal Australian Air Force (RAAF), the Royal New Zealand Air Force (RNZAF), and the Royal Canadian Air Force (RCAF). Operation Chastise was to be a Commonwealth show. Avro Lancaster B Mark III bombers were modified and designated as B Mark III Specials. Most of the Lancaster’s protective internal armor and the upper machine gun turret were removed to save weight. Because of the bomb’s five foot length and four foot diameter and 9,250 pound weight the bomb bay doors were also removed. In flight the bomb would be carried under the fuselage. The motor used to induce backspin on the bomb before release was also mounted below the fuselage of the aircraft. Some unique adaptations were made to determine the altitude of the bomber during the approach and the release point. Two spotlights were mounted under the bombers. At the correct altitude the two beams of light would converge. The release point was determined using a mechanical device designed to line up at the correct distance with the features of the dams under attack. Simpler is usually better, and in the case of Operation Chastise, 617 Squadron needed as much “better” as they could get. The bombers took off in three formations. The first consisted of nine bombers; five bombers made up the second formation; the third formation was made up of the five remaining operational B Mark III Specials. The mission profile dictated low-altitude ingress following routes that avoided known German anti-aircraft emplacements. Attrition started to affect the mission early. One bomber made contact with the sea but recovered after losing its weapon. A bomber was lost to flak and two flew into high-tension electrical wires. The remaining bombers made their way to the targets and executed their attacks. The bombers first breached the Mohne dam, then the Edersee dam, and finally damaged the Sorpe dam. Each attack was made using multiple runs at the target to ensure accurate delivery of the bombs. The Sorpe dam was a larger earthen dam and as such was unlikely to be completely breached. Two more Lancasters were lost, both to German flak, while returning from the raid. The raid had been costly. Eight of the 19 bombers were lost. But even though 617 Squadron would go on to drop other notable bombs like the “Tallboy” and “Grand Slam” bombs on other German targets, including some of them on the previously impregnable U-Boat pens in France and the German battleship Tirpitz, from then on they would forever be known as The Dambusters. The results of Operation Chastise were controversial. At least 1,600 people were killed. Nearly a thousand of the casualties were Soviet forced laborers and other foreign prisoners. Wallis believed the raid had greater effect than it probably did. The effect on food production was certainly significant. Hundreds of square miles of arable farmland were wiped off the earth and left infertile for a decade. Large numbers of livestock were also killed by the floodwaters. The Germans restored water output and electrical power to the region within 90 days, although production in the area did not recover for five months. Albert Speer opined that the RAF missed an opportunity to attack the region during the reconstruction and recovery efforts. Wallis agreed. In the end it appeared that the raids had a more meaningful effect on British morale than German ability to make war. Enjoy this BBC-produced documentary entitled Dambusters Declassified featuring British actor Martin Shaw.